My first impression of Ho Chi Minh City (known to locals as Saigon) was its many,many motorcycles. 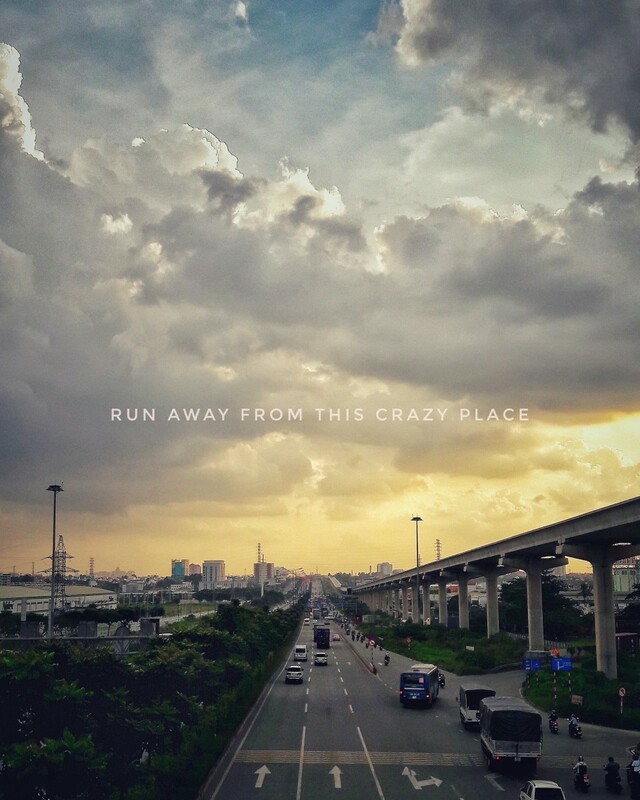 On my first day in Saigon, I felt that it was hard to cross the streets. As I crossed more and more lanes, I became more and more confident in crossing. To get to the Ben Thanh market, I had to brave lots of traffic, including one roundabout. That was an interesting experience, and if I may say so, more exciting than a rollercoaster ride. According to a local, there are 9 million people in the city and 5 million motorbikes. Wow! 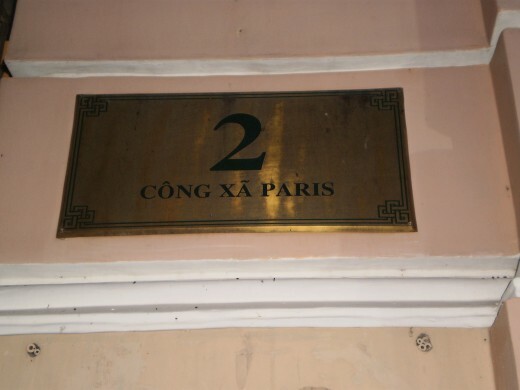 Paris in Ho Chi Minh City? The address of Ho Chi Minh City's Post Office. A must visit in Saigon! When I first saw the Ho Chi Minh City's Post Office, I was shocked. It was so beautiful and interesting. There were booths for people to make phone calls and the whole place seemed to have been preserved well. And another thing that caught my eye was its address. I can now say I have been to Paris although I have not stepped into France before! Nearby is the Notre Dame Cathedral. This area was packed with locals who were relaxing there at night. Definitely a place not to miss. The best way to explore the French Quarter is definitely on foot. Don't be afraid even if you don't speak a word of Vietnamese. I brought a map around and pointed at the place I wanted to go and even if I couldn't understand their words, we could still communicate well enough. And sometimes, getting lost can lead to interesting experiences too. 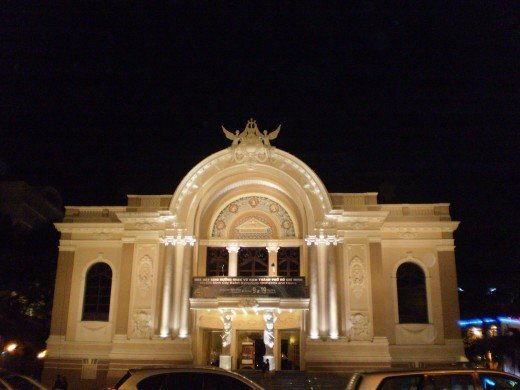 The Majestic Opera House in Saigon. At night, the French Quarter becomes even more beautiful as the French-influenced buildings like the Opera House are lit up. Pay attention to the sculptures outside the building. At times, there are also concerts going on. If you wish to, you can purchase tickets and get a glimpse of its interior. Unfortunately, we were not allowed to go in without a ticket. Nearby Dong Khoi street has also been invaded by the top brands like Chanel and Gucci as they occupied huge shops there. To buy local goods, head for the markets like Ben Thanh. But be prepared to bargain. Note that it closes at about 5-6pm, but after that, the area outside turns into a night market. 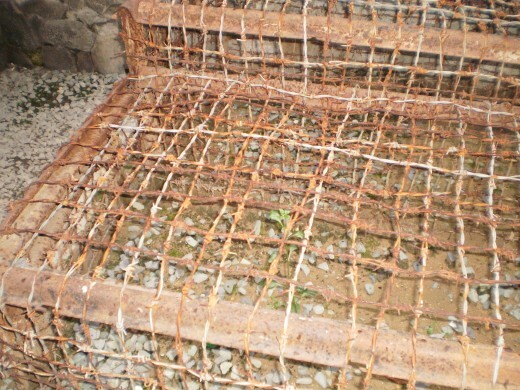 Booby traps such as this one was used extensively during the war. 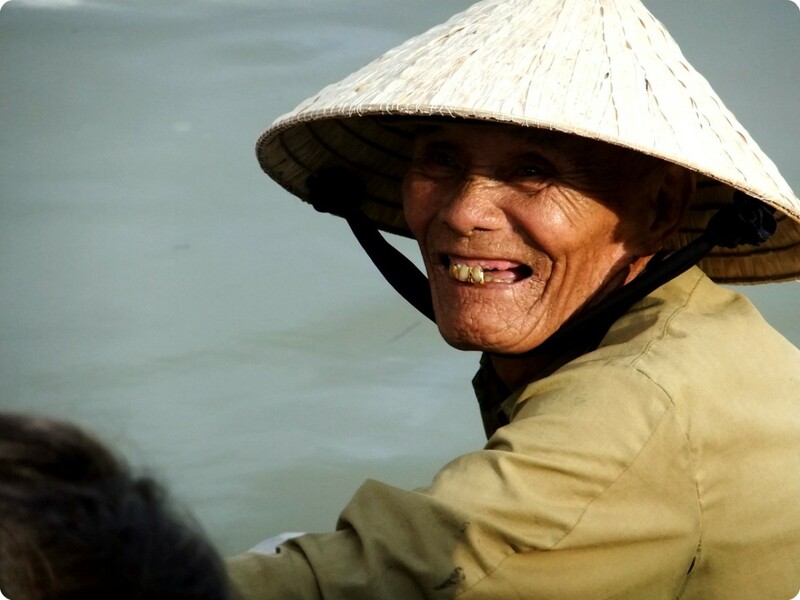 Every visitor to Ho Chi Minh City would probably not miss the opportunity to take a short trip to Cuchi. 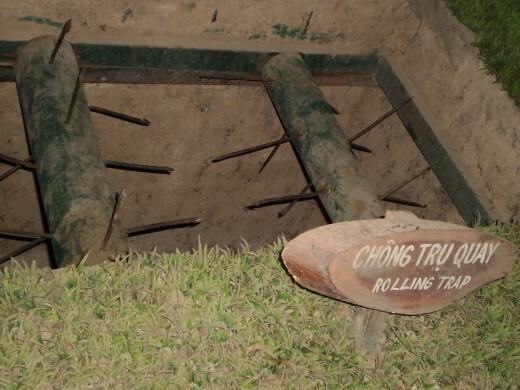 There you will be able to experience the Cuchi tunnels which were used extensively during the Vietnam War. We visited the Ben Dinh tunnel system. There is another one called Ben Duoc. If you are not claustrophobic, get into the tunnels and experience it for yourself. After experiencing it, I can tell you it is definitely not something I want to do again. Once is more than enough. Although it has been widened for tourists, I still felt it was narrow. And this is coming from a petite Asian girl. So be warned. Most people in my group only went through one level and did not continue on to the second part. 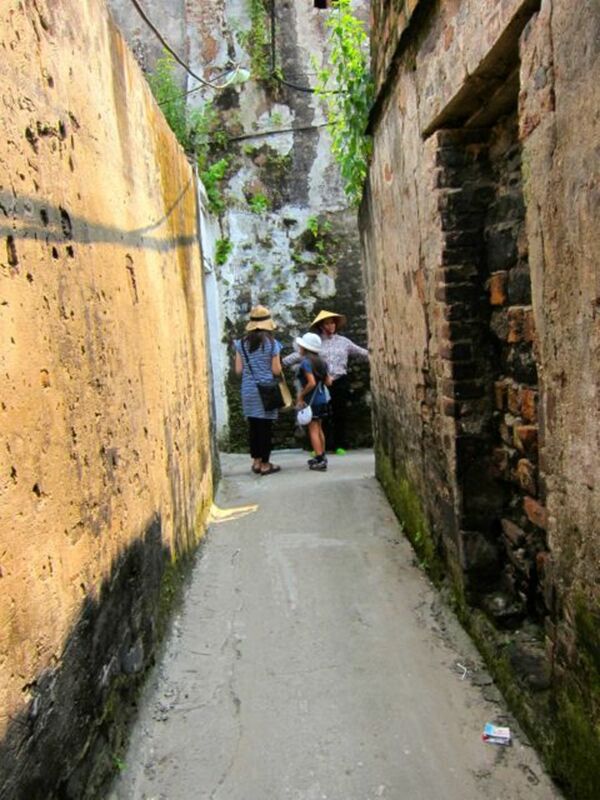 Besides the tunnels, you will watch a documentary (from the Vietnamese point of view). Also, there are many other exhibits such as those of booby traps used during the war. Also, if you are keen on shooting, you can pay to do so at a shooting range there. Visit the museum to learn about the hardships caused by war. Back in the city, we proceeded to the Reunification Palace. However, as there was a meeting going on that day, we could only view it from outside. We then headed to the War Remnants Museum. There, we were reminded of the atrocities of war and how precious peace is. The photo exhibitions served as an important reminder of how there is no such thing as "collateral damage". A life lost is a life lost! If you have never heard of things such as Agent Orange, this place is a great start to learn more. 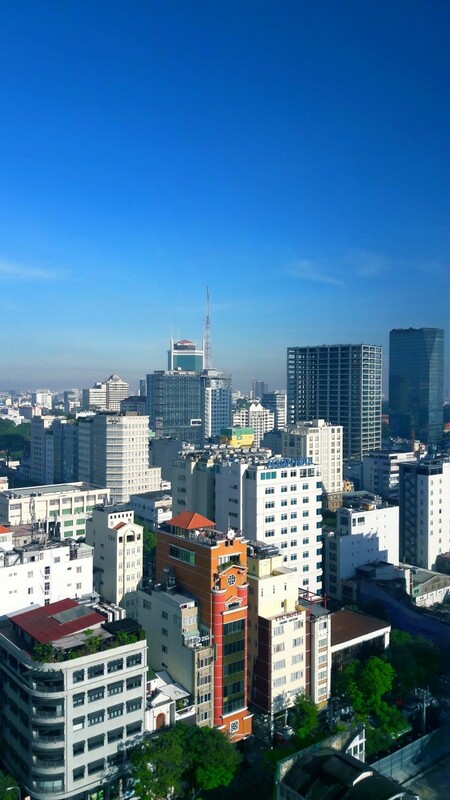 I'm heading out to visit Saigon again next month and wanted to check and see if I could seek out some new info from fellow hubbers. I've never made the trip to Cuchi before but I'll will now. Thanks for the wonderful hub! 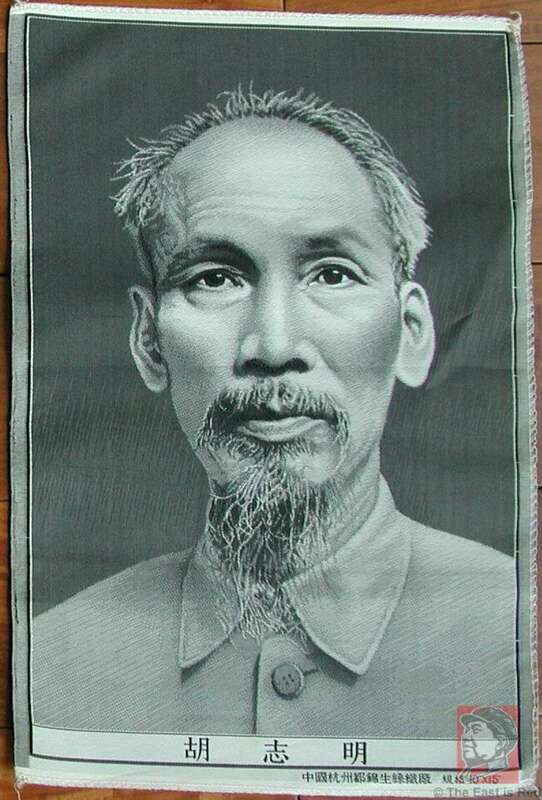 I have been to Ho Chi Minh quite a few times, too many to count! 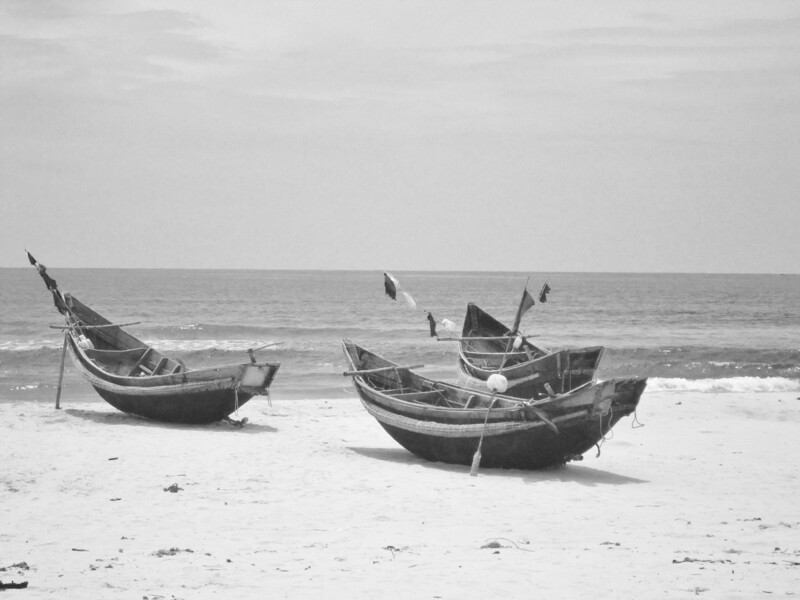 It just gets better each time, and I actually just returned home from a recent trip to Saigon. I met a healthy amount of really quality people, I drank a staggering amount beer, and I spent a shockingly small amount of money. I love it .. can't wait to go back! Great hub and thanks for answering my question too! Would not want to fall in one of those booby traps either, those things look in-humane.......well, so is war. 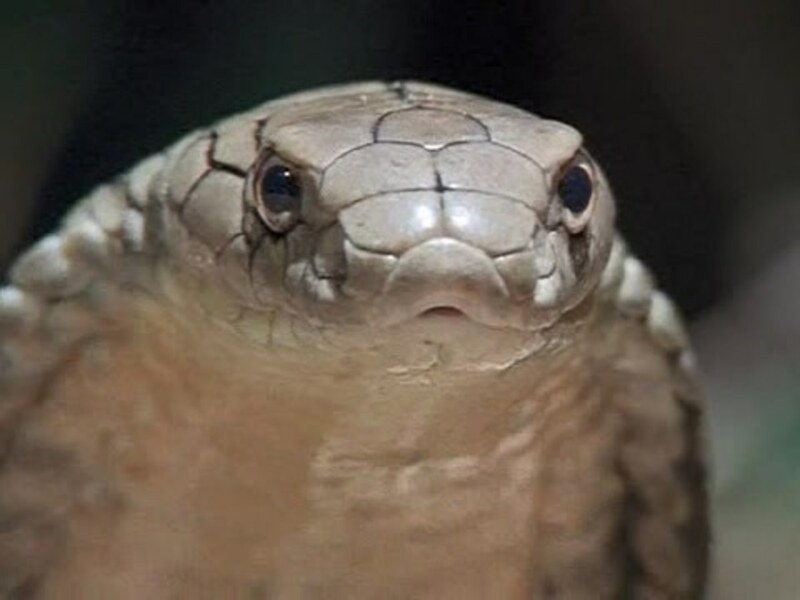 Such a small channel to enter. You should be courageous . Thank u for introducing to me about Ho chi Minh city. That's a place which reminds visitors about the horrors of war.